Replicating her famous scenes from the iconic anime, Sailor Moon, Sailor Moon joins the FiguartsZero Chouette series! 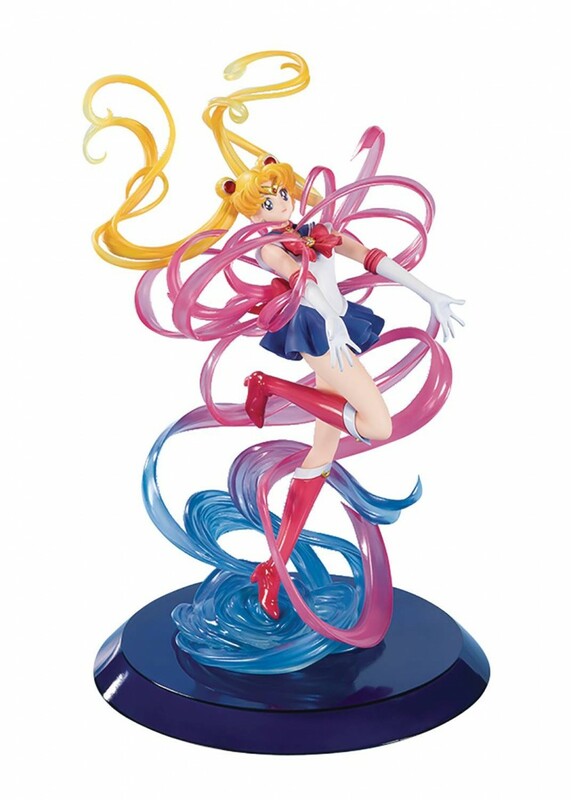 Exquisite sculpting and precise color applications depicts Sailor Moon mid-transformation, capturing her charming and beautiful appearance. Translucent parts are used in the transformation ribbons adding a soft, feminine touch. Optional gold chains finished with delicate charms are included and can be attached. The moon and her lace is painted with subtle gradations for added realism.